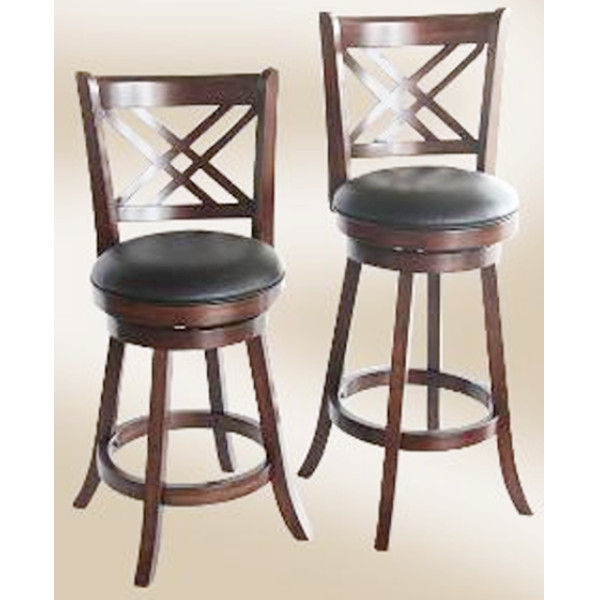 Store Home > Armless Barstools 24"
24" Walnut Double X Back Stool (2 Pack). Swivel distressed walnut tool with Black vinyl Seating. Armless stool. Also available in black. 16½" x 17½" x 41½"